Gandermonium: A little update from H.Q....Hit or Miss! A little update from H.Q....Hit or Miss! Well....yet again..due to the current snow 'armageddon' calling our home game off Vs Truro..here at Gandermonium we have been scratching our brains as to what to entertain to you with! Well we scratched our heads and twiddled our thumbs for a while err...all of ten minutes, and decided to give you a double helping of Gandermonium this weekend! You lucky lucky people! Seeing as there's sod all football to write about, and naff all post drinking shenanigans to keep you entertained with, it was only fair that we gave you something to read about/fall asleep to/amuse yourselves to! So whilst Taz is pulling out the drawers of the dusty Gandermonium filling cabinet, and searching in the deepest darkest archives of the original Gandermonium Blue Prints, I thought it only fair to give you a little update on the present current comings and goings,happenings down at the Lane. So prop your eyelids open with a couple of matchsticks for the next few minutes......here we go. Gareth "I like your style" Gwillim. 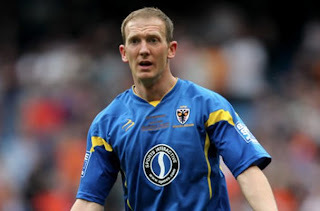 So we signed Gareth in the summer, after being released from AFC Wimbledon, (along side fellow AFC Womble Jamie Stuart). Gareth's playing postion was left back, having first started his career as a Crystal Palace Junior, Gareth then went onto play for the following non-league clubs, Farnborough Town, Ashford Town, Bishop Stortford and Histon! Gwillim then went onto sign a permant deal for AFC Wimbledon in July 2011, and featured in thier return to the football league until... he then of course joined us. Unfortunatly recent times have seen Gwillim dropped from the starting line-up, and making way for Sam Rents, an attacking left back, come winger/midfielder! So following the result at Corthian Casuals in the SSC-Gwillim, departed the club,-best of luck in the future. Almost forgot to mention there, Steven has currently got 17 full international caps for New Zealand! Best of luck in China...as said before if it don't work out, come back....please! No no, the goal's THAT way! Probably best to point out at this stage, not a relation of mine, but I guess we are class in our own right as we do share the same name after all. So Stef- well, signed him as young lad from neighbouring club Croydon, having been looked and thought yeh he looks half decent. 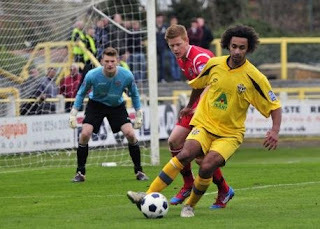 So Stef made an immediate impact, scoring a hat-trick in the club's first league game of the season, a 4–0 win over Margate in the 09'10 Season. This of course attracted the 'devil in disguise' eyes of the Football League Scouts-namely Fulham "we'll promise you a freindly game as part of the deal, but we'll try and do you over, commeth the day and hour". So onto Fulham Stef went, where he didn't quite make it into the first team. Stef then left Fulham, and made appereances for the following clubs, Gillingham, Braintree and Aldershot Town, before returning to us this season. Sadly for Stefan, I think he lost his heart, and his shooting boots, in the game over the recent months, and decided that football was becoming a bit of a 'Payne in the arse'! So decided to leave the game for a little while, have a cup of tea, and a kit-kat, followed by a bit of a sit down ...and is now currently having a go for Macclesfield, good luck in the future. a cutting comment here. Sorry Kezie! Well if I'm honest- I didn't see much from Ibe, but please don't get me wrong, a good 'baller as they say, good strength and holds the ball up well. Strengh wise, perhaps a younger Dundo Esq! 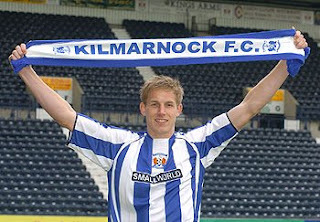 So we signed Kez from Chelmsford in the latter part of the Summer. As an out and out holder of the ball upfront! Kez picked up an injury, which took him a few weeks to get himself back to fitness, and after getting back to his former self, his was duly sent out on loan to Eastbourne to get his game time, and sharpness back. Due to other changes in the squad, there seemed to be no room at the inn for Ibe, so we let him go to Eastbourne-best of luck! Kezie's previous clubs include, Ebbsfleet United, Farnborough and twice for Chelmsford City. Craig "Ghost past you" Watkins. Well, bit of a strange season this one for 'ol craigo! Last season really found his shooting boots, having netted 23 goals. This season however, it would appear that something was missing, from the power within those boots! Craig will allways be one of my favs, having played for the club on a number of occasions, and because sometimes you can find him in a local watering hole in Cheam Village, I won't tell you the name of the boozer, but it starts with a letter H, and end's in W, and has the following letters 'arro'! Well I guess the question is, will we miss Craigo's pace upfront for the rest of the season...time will only tell. Craig's previous clubs include,Epsom, MET Police & Exeter. Right then, well that's all the current goodbye's done. Let's have a sneeky peak behind the Newbie Door! So in today's official club news, and via text direct to Juan's hotline we have the following newbies joining us....here we go! So we've got Richard "hired gun" Pacquette joining us currently on a non-contract basis. Who has recently been described as an experienced goal scorer, and an excellent finisher to boot! 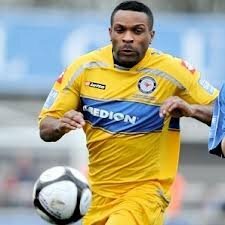 Richard started his football career with QPR, he then left QPR, and joined Stevenage, Dagenham & Redbridge , and Mansfield Town for various loan spells. 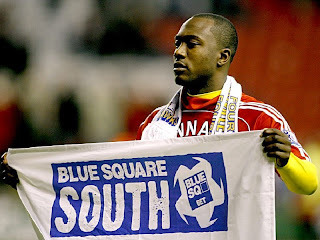 Then returning to QPR he was placed on the transfer list and joined MK Dons! Since leaving MK Dons, Richard has played for many clubs, including Maidenhead, Lincoln City, Eastleigh and Bromley. Once played for Woking. But has also scored at Old Trafford. Dean has also joined us recently on a non-contract basis- so Dos can have a look and see what he's made of, and seeing if he fits into the squad, and more importantly our style of play! So, Dean has recently been described as a attacking midfielder. Dean started his footballing career at Norwich, pushing himself through the youth setup. 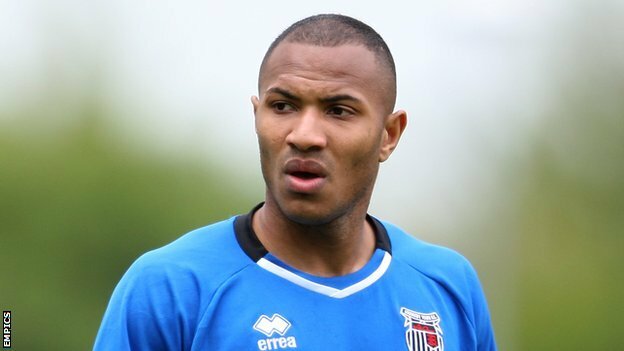 Having left Norwich, Dean has made appreances for the following clubs, He has previously played for, Barnet, Charlton, Hayes & Yeading, Lowestoft and Woking. So that's currently where we are with the coming's and goings! Well I hope you've found that of some use, and you haven't yet drifted off to sleep... just yet, reading my old dribble. Well anyway, watch this space and check back on a regular basis, as Taz's archived blog is soon to come....once he's found his way back from the Gandermonium world of Narnia! Piss off snow we want to see a game of footie! I don't feel down.....Mr Fruit Shoot ! All stuff copyright Gandermonium (1998 onwards). Simple theme. Powered by Blogger.